P&O Cruises | Frequently Asked Questions | On Shore - How long does a shore excursion last? You are here: Home > Advice centre > Shore Excursions > How long does a shore excursion last? Q. 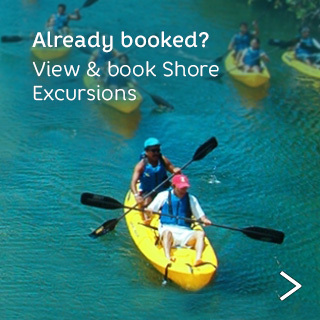 How long does a shore excursion last? Shore excursions give you the opportunity to see places you have always dreamt of and try things you have never done before. Tours vary in length so you can opt for a brief introductory tour or an in-depth full days exploration. Full information and details can be found via the Cruise Personaliser. Are coaches always used for shore excursions?